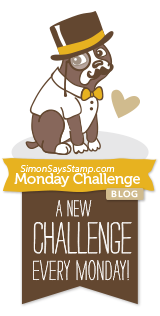 Sentimental Sundays Challenge #263, You DID IT!!! Congratulations!!! Hello everyone and happy Sunday! 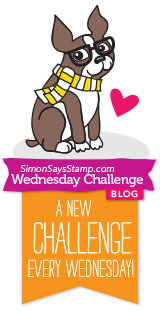 Today I'm featuring a really cute digi, "Owl Graduate" by our sponsor, Drawn With Character! I have one more graduation gift to give this spring, so this card will be perfect to include! I hope you've enjoyed my project, thanks for stopping by!!! In addition to the card, I decorated a purchased striped gift bag to match my card which was so simple! Using scraps, I just stamped a partial image of the bird onto a white strip of cardstock, then pasted it on some teal cardstock. 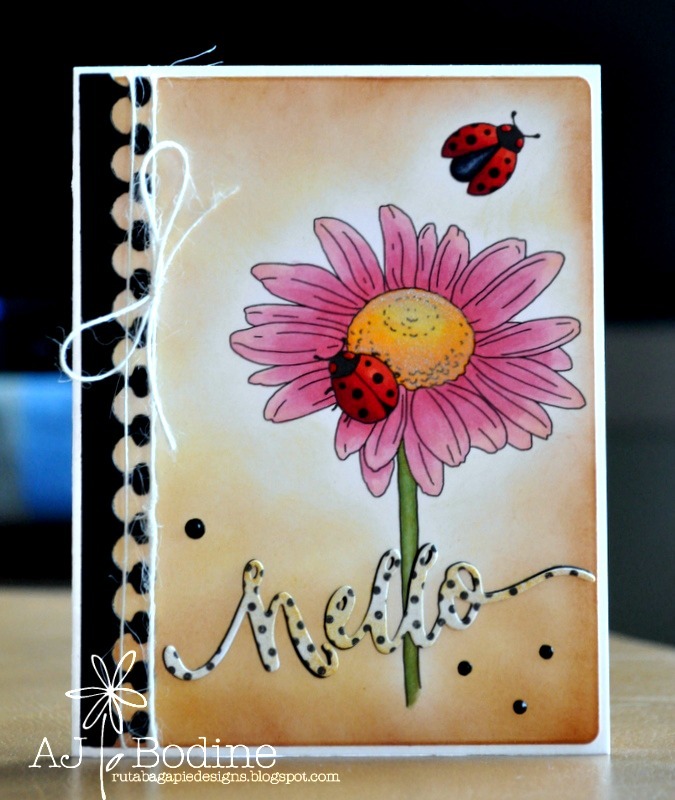 I used a straight die with a zig zag border to create a decorative edge. I finished it off with a bit of twine, filled the bag with some Werther's Originals and stapled it shut! I plan to put the card and gift bag on top of my husband's wrapped gift for Father's Day! I hope you've enjoyed my projects today, thank you for stopping by! Please continue along the hop by clicking the next button to see what the super talented Andrea Pancrazio has in store for you! Good Sunday to everyone, thanks for stopping by! I hope everyone is in a good place today! Despite being a busy Sunday with everyone coming and going, we've got beautiful weather, everyone is healthy and it's almost the end of the school year. So much to be grateful for! 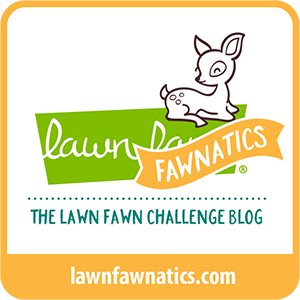 This week over on the Sentimental Sundays challenge blog, we have a terrific sponsor! Fred She Said Stamps! And the theme is Touch of Vintage/Shabby Chic. On my project this week I used one of their lovely digi images called "Growing Together". Pico Embellishers - those CUTE little black dots! Coffee Loving Card Makers Blog Hop ~ Summer 2015 - Blog Candy at the bottom!!!!! Hello everyone and welcome!. 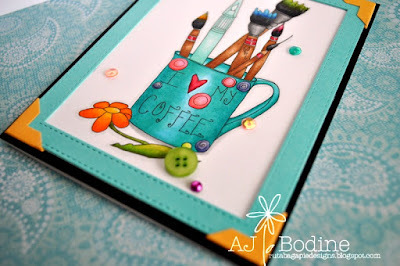 I'm taking part in the always fabulous Coffee Loving Card Makers Blog Hop - Summer 2015. Thank you Amy Tsuruta for all your hard work in hosting this amazing event once again. 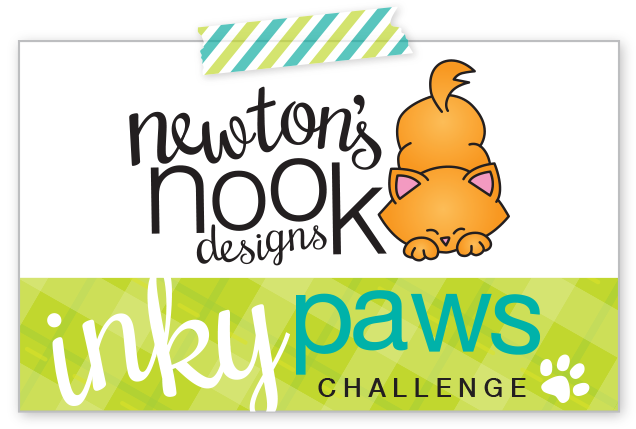 Visit the link below to take the hop and the chance to win tons of great prizes from our sponsors! 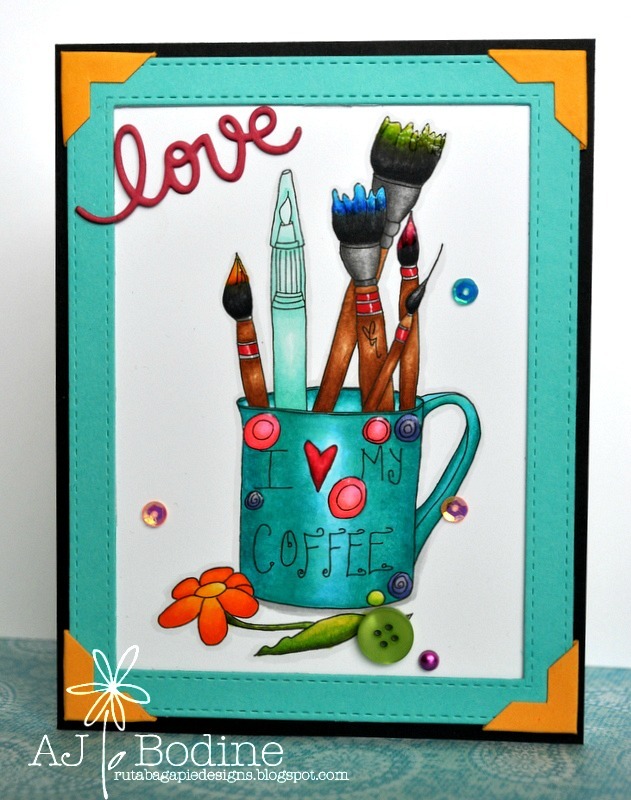 Coffee Loving Card Makers Blog Hop - Click Here to Play Along! I purchased this lovely digital image by artist Cynthia Garner of Cottage Remnants specifically for this hop. I hope you'll visit her shop and purchase this beautiful image for your own digital collection! 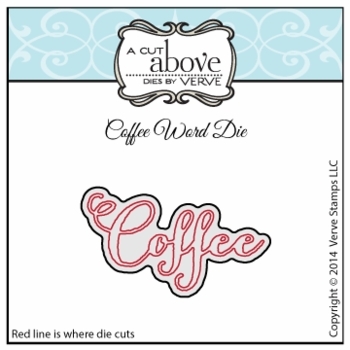 Blog Candy, leave a comment for a chance to win this brand new Verve die PLUS a couple fun things from my stash!! !